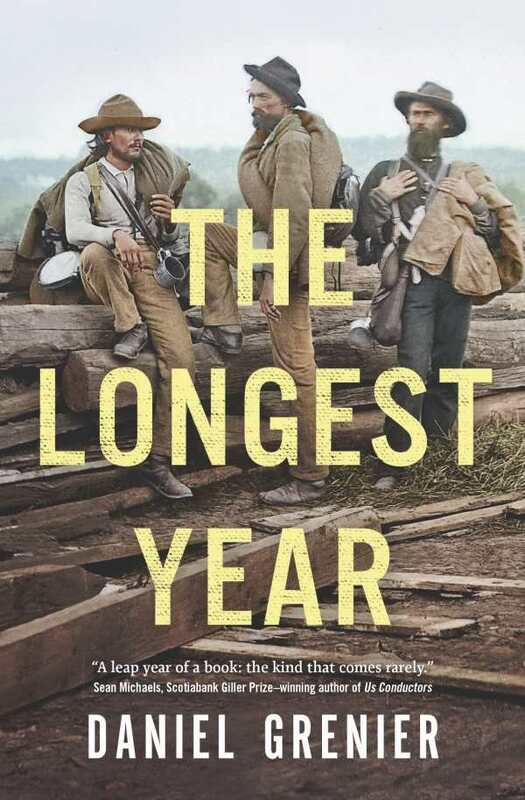 An intriguing journey spanning two countries and multiple centuries, Daniel Grenier’s The Longest Year is at once epic and intimate, heartwarming and grotesque. This is a novel that defies easy categorization. Shades of the tall tale intertwine with brutally realistic depictions of war and the glimmerings of science fiction to chronicle the life of Aimé Bolduc, a man born on February 29, 1760. Aging only once every four years, he fights for the Union as William Van Ness in the Civil War and witnesses the transformation of the world through the twentieth century as Kenneth Simons. The stories of his descendants—Albert Langlois and his son, Thomas—are woven throughout in a chronologically shuffled puzzle that keeps its secrets hidden until the final section. The scale is grand, but the true appeal of the novel is in its characters’ relationships with one another. Albert’s obsession with pursuing Aimé first estranges him from his own family and then strengthens his ties to Thomas. Though Albert and Thomas never meet Aimé directly, his influence on their lives, whether positive or negative, is palpable. This influence arches over the bonds between Thomas, his father, his mother, and his mother’s friend, Mary. Through the eyes of Aimé, Grenier skillfully paints the changing landscapes of society, particularly in regard to attitudes about race and the ways that new technologies can vastly alter means of living. Copious research is evident without being intrusive. References to historical figures abound, but it is Aimé’s interaction with Stephen Crane, resulting in philosophical musings on war, that shines the brightest. The Longest Year urges a deeper contemplation of time as currency, one that must be invested wisely in order to yield a profit greater than ordinary material wealth.